In 2003 he became Prime Minster (that is, Chair) of ISCANS, the local drag queen organization, and began a relationship of very successful of fundraising and a transition from "Barony" to "Imperial Court" with peers around the world. 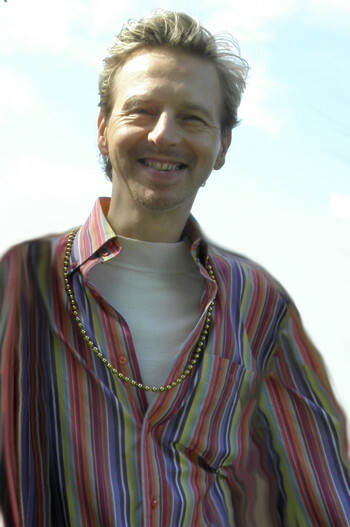 After several years of writing articles and press releases, in 2004, Raymond joined the production team of WayvesMagazine as Editor and Managing Editor. Raymond produced spectacular events, wrote hundreds of interviews, news pieces, opinion pieces, took thousands of photographs and most importantly, coached a hundred writers, professional and non, into taking an interest in their communities and making things better by shining light on the beautiful parts of life -- and the ugly. In May 2010, Raymond wrote (page 14) in Wayves Magazine, Why I’ll Mark May 17 -- about being assaulted after leaving a bar. 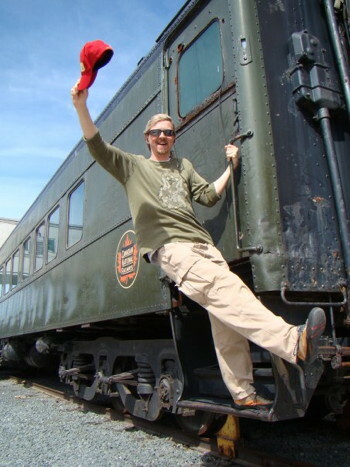 In January 2011, he left Wayves, with, he said, plans to change the world in new ways. On April 17, 2012, Raymond was murdered. Facts about the incident are being accumulated here. That evening, over 1000 people2 gathered at a vigil. Above all other things Raymond was an idealist; he believed that a perfect world was attainable -- with just a little more work. In his words, "It's a big world out there; on so many levels there's much that needs to be done." 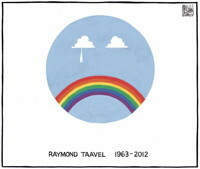 If you had anything to do with the LGBT community in Atlantic Canada, you knew Raymond's name and he had probably encouraged you to think, write, and do something make the world a better place. Raymond's eulogy, written by DarrenLewis? and delivered at his funeral service by his boss Barry Boyce at his funeral on May 6, 2012, is here. On October 15, 2012, Raymond received the Governor General's Diamond Jubillee Medal, via a volunteer committee organized by Halifax MP MeganLeslie?, one of 30 allocated to her, and 60,000 given out across the country. November 1, 2013: NSRAP honours CBC Radio’s Mainstreet NS and Maritime Magazine with the 2013 Raymond Taavel Media Award. “It is still exceedingly rare for the LGBT community to catch the mainstream media’s attention,” said NSRAP Chair Lisa Buchanan, “unless there is either a tragedy or controversy. And in those situations the coverage is often sensationalized. Both of these programs have been exemplary in their portrayal of gay, lesbian, bisexual, and trans-identifying Maritimers as they are, real people.” Over the last year, Maritime Magazine has presented several half hour documentaries on LGBT people, including a program on trans students attending university in Charlottetown, PEI, and a story about an openly gay high school student in New Brunswick whose positive outlook and example transformed their community. Mainstreet NS has consistently offered nuanced, accurate reporting about Nova Scotia’s LGBT communities. They have explored issues facing older LGBT people, trans issues, and LGBT youth. January, 2019: Park at the corner of Inglis & Barrington to be renamed and renovated in Raymond's name. The Sault Star, from Raymond's home town. A moving spoken-word piece by Tanya Davis, performed at the Halifax vigil. Metro News piece about Denny's appearance in court. Trying to undersdand a tragedy in The Brief, published by the NB Media Co-op. Presented to Halifax In Memory of Raymond Taavel 1962-2012. "Be Out, Be Informed, Be Compassionate, Be The Change!" -- From Darren Lewis and the Taavel Family, Pride 2014. This page is a part of the HistoryProject. 3. Chronicle Herald August 2, 2013 "Garden honours memory of Taavel"